From the sea to Elba Island, the Savannah river is bisected into the north and south channel, divided by several islands. 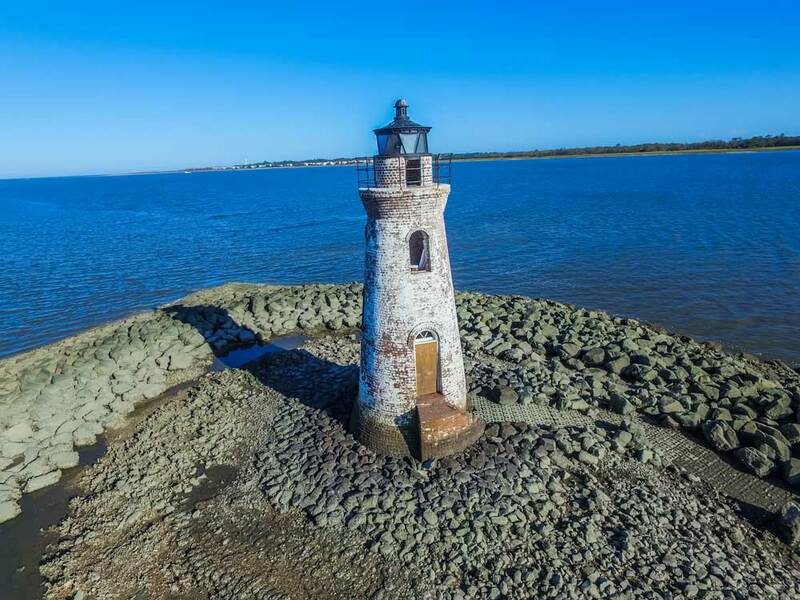 To mark the entrance to the south channel, the Cockspur Lighthouse was built on Cockspur Island in 1849 and rebuilt in 1857 with a new fourth-order Fresnel lens. Originally, a twin tower marked the north channel, but it fell to storm damage. The light house was deactivated in 1909, when deep-draft vessels began using the north channel. In 1949 it was abandoned by the Coast Guard, but claimed by the Park Service in 1958 and restored from 1995 to 2000. Cockspur was re-lit in March of 2007.